I, for one, love mixing high and low brands. I think it makes the process of coming up with ensembles much more fun and interesting. Let me clarify though that I have nothing against wearing expensive garb from head to toe. But at the same time, I don’t think wearing affordable brands from head to toe is any less fashionable either. In fact, all the items I’m wearing here are super affordable! Some of which will become even more affordable come the great 3-day sale happening this September 14-16 at SM Mall Of Asia. Yes, you read that right! SM Mall Of Asia will be on sale again!!! Your favorite brands, including the ones I’m wearing here, will be on sale for up to 70% off!!! It’s affordable luxury at its finest! Yeah!. I really do love your insights about Fashion. style doesn’t have to be expensive, and I think not all expensive things look stylish…^^ I think most of the affordable ones have unique and fun style. Someone’s back reading! :) Thank you Marichelle! anopo ba mga nasa trend ngayon?? in pa rin po ba ang studs and animal prints as well as aztecs??? Thanks Janica! :) It’s the boldest I can go! Oh I love shopping! I find the Forever21 in MOA has much more stylish clothes than in Makati.. Just observed. ::-) Anyway, i would love to copy this look ms camile! Thumbs Up! They have different items! :) Thanks Vanity_Love! See you at MOA! Hi Camille – I hope it’s ok to reply to mimi’s comment. Love your outfit Miss Camille. 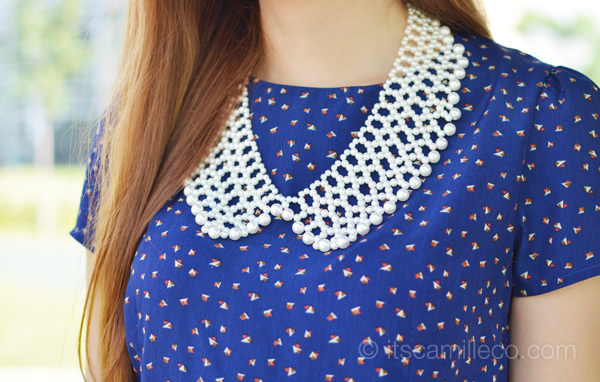 And I was a little surprise that the collar/necklace is separate from the top. You are amazing! Donya look indeed haha!Thanks Katherine! Very well said! CLAP CLAP CAMILLE! 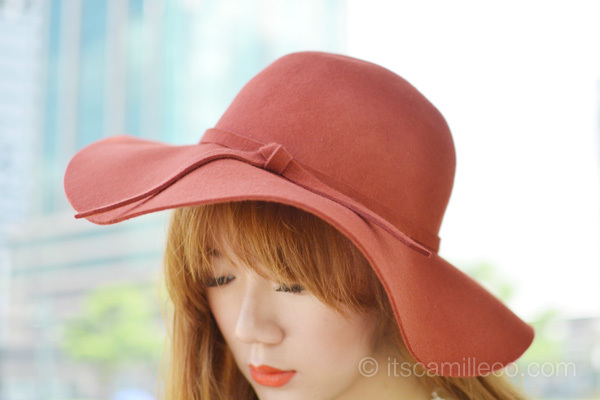 :D I remembered fitting that Orange wedge at SM Dept store! HAHAHA Muntik na ko maout of balance! :D NICE NICE! Haha I almost tripped while taking these photos too! You look so so rich here! Not hard to use at all! GREAT peplum top! LOVE it! Hi Camille i have emailed you.dont you have seen it or not. hehehehehehe..
HI camille. You look as beautiful as ever. I was just wondering since you have very long and slim legs, what size is your pants? I guess 26 or 27? I envy your legs, they go on forever. You are tiny. With your height, you look magnificent in clothes. Wow. I completely agree-dressing well does not necessitate buying expensive brands at all. Especially with so many different affordable options available out there today. Hi, Ms. Camille! Sent you an email. Thanks! Hi camille, been reading your blogs, very inspring:) Before I start working i usually check your blog, for me its a source of relieve from stress:) Hoping to read your next blog.. They have so many nice tops! Hi Ms Camille! I’m a big fan of your blog since last year pa and I must say you have come a long long way. It’s my first time to comment though. I wanna say ALL YOUR LOOK POSTS are beautiful! Keep on inspiring us! :) I WISH I could see you on MOA. These pieces are all from SM?! WOW / Btw, what lipstick were you wearing here! You could pull-off tangerine well! Yes! I’m wearing MAC’s What A Blast :) Thanks Julie! My pleasure! Thanks too Charisse! like the outfit from hat to shoes! can i ask what is the color of your hair and where did you have it colored? tnx. Visit Moa again! :) Thnaks Itchy Edgy! this is a gorgeous outfit! This is so much more affordable! :) Haha I wish! I agree with you dear, you cant buy style. I even thought your shoes is a branded one. I’m surprised to find out its Parisian. I used to buy Parisian shoes when I was back home in PI. Theyre stylish and affordable. I also don’t discriminate brands, I mix and match some of my Pradas & Guccis with even tiangge or ukay-ukay finds and theyre perfect. it’s just a matter of styling it. Love this post. I always look forward for your new posts! are these polkadots? I always find royal blue and red-orange combi so cool.. Love this outfit. Love the outfit x .
I’m sure you will! There have so many stores there! :) Thanks Nessa! good to hear these from you, Ms. Camille esp. since most of the time, your outfit consists of luxury brands. it would be interesting if you post more outfits like this – affordable outfits. because honestly, every time i look into your blog, parang feeling ko hindi ko masabayan ang kind of fashion you don. —kung maka endorse, WAGAS! :-) hihihi ambassador ka nga talaga! You look good! I actually love “cheap” cloths! It always makes me happy when I find something nice for good price :) My fav dress cost 15 euros and I have had it for over 5 years, still loving it! I was able to get sandals for 5 euros back in France!! :) And I still love them too! mixing high low brands is super interesting! and your wedges are superb, they are adorable! Hahaha! I love that you did not hold back in saying that my thighs look fat! :) Thanks anyway Matthee! I remember Taylor Swift wearing that kind of hat and believe me if I say you look like her in this kind of outfit! I also love the wedge shoes! I might buy it soon! Hahahha. Do you know a certain Milka Co? I am so agree with about the style! Yes, maybe fashion is about money (often actually), but style is about only a taste! Hi Ate Camille! Or do you prefer Miss Camille? ;;) I hate how you always look pretty. I’m so jelly. I wanna be like you!! Kahit ano, kung saan ka masaya haha! :) Thanks Nicole! Please visit my online shop. We sell accessories at low prices. I have the same shoes. Cool. Cute how your lipstick matches your hat and shoes. Don’t stay away! You’ll love the sale! “In case you haven’t checked, great style doesn’t come with a price tag.” — I COULDN’T AGREE MORE. That is so true. Yung iba nga diyan super in head to toe designer items na pero nababansagan paring “worst dressed” eh. Talagang you can’t buy style….unless you can afford the services of Rachel Zoe. CHOS! haha! :D Bottomline, nasa pagdadala lang yan. 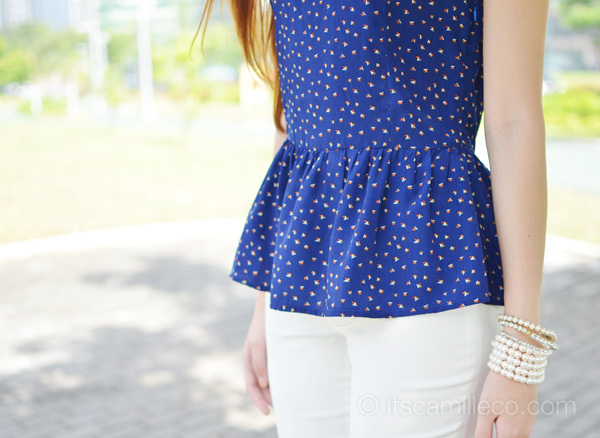 I love peplum tops, and this one is so cute! Great top. How much is it?